To claim this profile, please confirm you are Kirsten Bickford. To follow this profile, please let us know your relationship to Kirsten Bickford. Kirsten's basketball stats have been updated for the loss vs. Trinity. RESULTLoss Girls varsity basketball vs. Trinity. The Modoc varsity basketball team lost Tuesday's home playoff game against Trinity (Weaverville, CA) by a score of 56-52. 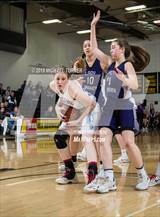 This game is part of the "NSCIF Girls Basketball Playoffs 2019 - NSCIF Girls Basketball Div 5" tournament. 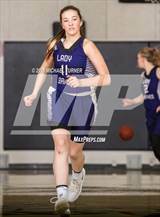 Kirsten's basketball stats have been updated for the win @ Durham. RESULTWin Girls varsity basketball @ Durham. The Modoc varsity basketball team won Thursday's away playoff game against Durham (CA) by a score of 40-35. Kirsten's basketball stats have been updated for the loss vs. Fall River. RESULTLoss Girls varsity basketball vs. Fall River. The Modoc varsity basketball team lost Friday's home conference game against Fall River (McArthur, CA) by a score of 52-40. Kirsten's basketball stats have been updated for the win vs. Weed. 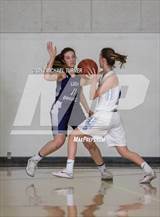 RESULTWin Girls varsity basketball vs. Weed. The Modoc varsity basketball team won Tuesday's home conference game against Weed (CA) by a score of 44-13. Kirsten's basketball stats have been updated for the loss @ Etna. RESULTLoss Girls varsity basketball @ Etna. The Modoc varsity basketball team lost Friday's away conference game against rival school Etna (CA) by a score of 52-33. Kirsten's basketball stats have been updated for the loss @ Mt. Shasta. RESULTLoss Girls varsity basketball @ Mt. Shasta. The Modoc varsity basketball team lost Tuesday's away conference game against Mt. Shasta (CA) by a score of 50-39. Kirsten's basketball stats have been updated for the win vs. Trinity. The Modoc varsity basketball team won Saturday's home conference game against Trinity (Weaverville, CA) by a score of 48-44. Kirsten's basketball stats have been updated for the win @ Fall River. RESULTWin Girls varsity basketball @ Fall River. The Modoc varsity basketball team won Wednesday's away conference game against Fall River (McArthur, CA) by a score of 60-40. Kirsten's basketball stats have been updated for the win vs. Etna. RESULTWin Girls varsity basketball vs. Etna. The Modoc varsity basketball team won Friday's home conference game against rival school Etna (CA) by a score of 48-44. 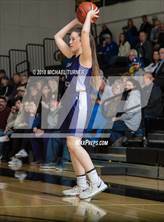 Kirsten's basketball stats have been updated for the win @ Weed.